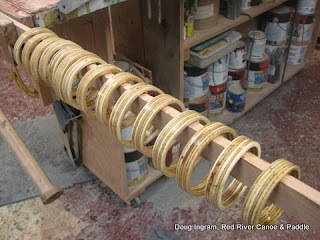 Simple, cut 14 circles out of plywood and sand them smooth, then varnish. 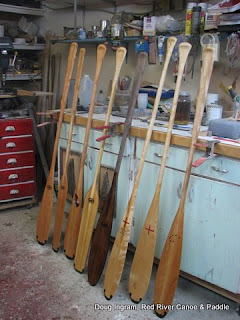 Spent a good amount of time finishing the current batch of paddles. This is how the look at the end of Friday. Posted by Doug Ingram at 9:50 p.m.